Griffin & Murphy, LLP, (a PoP advertiser) is a boutique law firm in Washington, D.C. concentrating its practice in real estate law (including development, finance, leasing, zoning and condominium conversions), as well as estate planning and probate, civil litigation, and business law. The attorneys of Griffin & Murphy, LLP are licensed to practice law in the District of Columbia, Maryland and Virginia. Griffin and Murphy, LLP was founded in 1981. I’ve had a legal C of O on the rental unit since that time. I have always been told that my unit was exempt from DC Rent Control regulations. More questions and answers after the jump. of Administrative Courts to appear at a Mediation scheduled for Nov. 12 to discuss this. held liable if DC posts a law in the ether and expects them to be clairvoyant about it? claims that would only apply if the unit was considered to be under Rent Control? writing. My tenant is using a pro bono attorney from the Legal Counsel for the Elderly. representing him, but is that the same thing? I appreciate any advice (or legal ammunition) you could provide to me. Given the complexity of your questions and the fact that your tenant is represented by counsel, I would advise you to consult with an attorney prior to the mediation scheduled for November. With that said, we are happy to explain how the rent stabilization exemption process works and to discuss the defenses that are typically used by landlords when they unknowingly violate the rent stabilization requirements. As you now know, landlords in DC are required to obtain a business license and register their rental units with the DC Department of Housing and Community Development – Rental Accommodations Division (“RAD”). The registration form that a landlord files with RAD contains a section whereby the landlord can claim an exemption from the DC rent stabilization requirements if certain criteria are met. For example, individuals who own 4 or fewer rental units are exempt from the rent stabilization requirements provided that they claim their exemption. Many people think that a landlord is automatically subject to the rent stabilization requirements if the landlord does not claim its exemption. 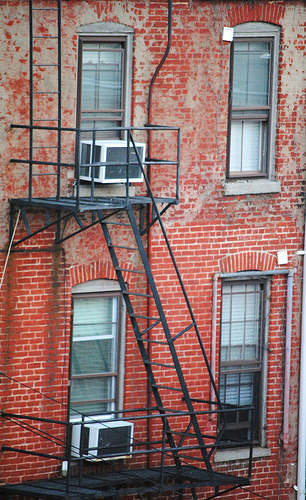 The penalties for violating the rent stabilization requirements are found in DC Code § 42-3509.01(a), which states that “[a]ny person who knowingly (1) demands or receives any rent for a rental unit in excess of the maximum allowable rent applicable to that rental unit under the provisions of subchapter II of this chapter … shall be held liable by the Rent Administrator or Rental Housing Commission, as applicable, for the amount by which the rent exceeds the applicable rent charged or for treble that amount (in the event of bad faith) and/or for a roll back of the rent to the amount the Rent Administrator or Rental Housing Commission determines.” This is why the attorney who wrote to you is asking for a refund of the rental increases. Additionally, she is only asking for the increases imposed since 2007 because the statute of limitations requires that tenants file a challenge to any type of rent adjustment within three years after the adjustment takes effect. To prove that you did not knowingly violate the statute, you should argue that (1) you are not a regular landlord (this is a single English basement apartment), (2) you charged a reasonable rent (take documentation of comparables to demonstrate that the rent is still well below market rates), and (3) as soon as you were alerted to the fact that you had to register the rental unit and claim the exemption, you did so. Regarding your last question about elderly tenant status, a tenant is defined as elderly if the tenant is at least 62 years of age and demonstrates the claim to the satisfaction of the DC Rent Administrator. If a rental accommodation is not exempt from the rent stabilization requirements, the rent charged to elderly tenants can only be increased by the change in CPI-W (it is CPI-W plus two percent for non-elderly tenants). In order to qualify for this special treatment, the elderly tenant must file a form with the DC Rent Administrator and provide a copy to his/her landlord. However, if the rental accommodation is exempt from the rent stabilization requirements, a landlord can raise the rent for elderly tenants without restriction.